Torturous tendonitis is taking over my life! I'm under very strict instructions not to use my right hand at all. I've had to take a little leave from work to try and have zero activity to try and get it back to some kind of normality. At the moment the pain is constant so here's hoping a little rest will go a long way. Everyone is joking that the cause of the tendonitis is excessive baking! But given I use my fantastic KMix for everything, I don't think it is. This evening I've made the trip to the wild wild west of Ireland to seek out the best care possible....which is of course at home, where my Mom is! 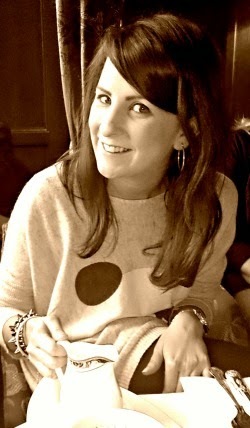 Luckily she shares my love of all things food and has volunteered to help me out with my blog in my time of need (I know sure she's only brilliant!). It was really nice having time to flick through old recipe books and dream up all kinds of wonderful together. My Mom 'Shaud' as I like to call her, came up with a great idea of resurrecting some of the 'Classic' recipes. 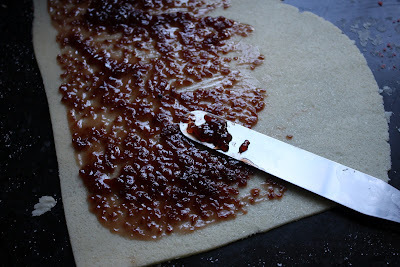 I was very excited about the prospect of watching and learning how to make some of the old favourites! 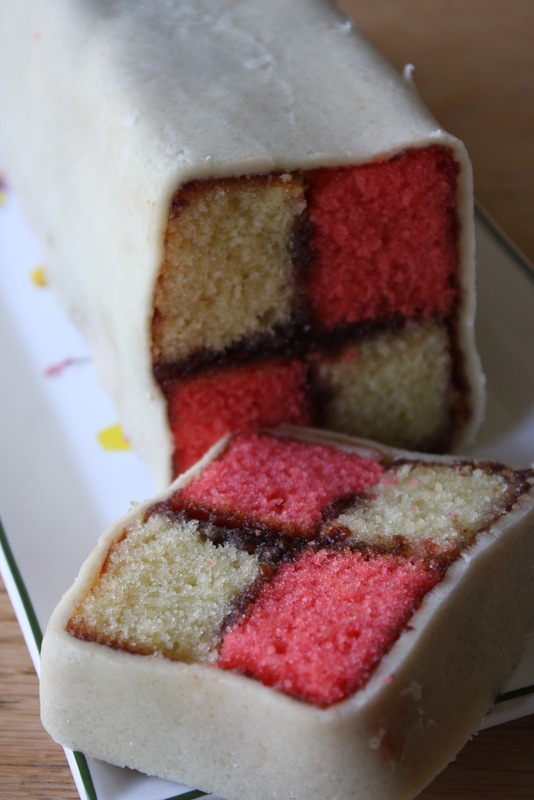 First on the list is a traditional Battenburg. This is my Dad's favourite and whenever Shaud is away somewhere she always tries to bring him back one! 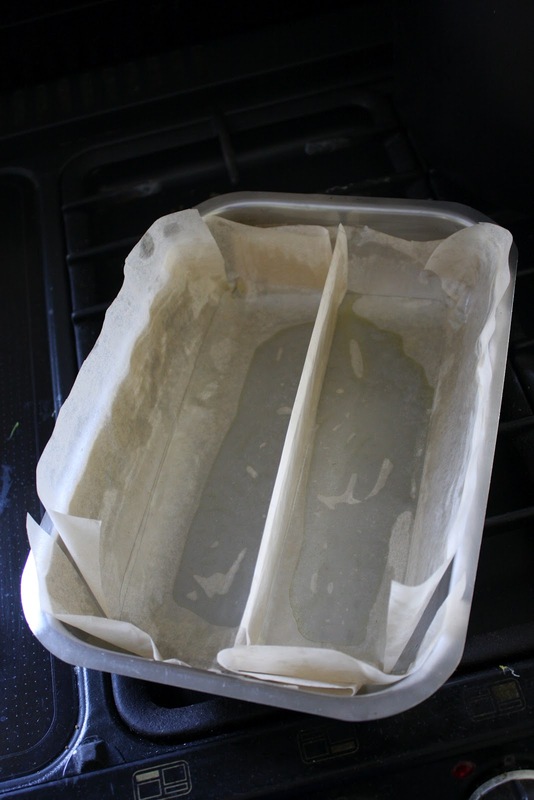 the centre of the tin with the greaseproof paper (as pictured). 2. 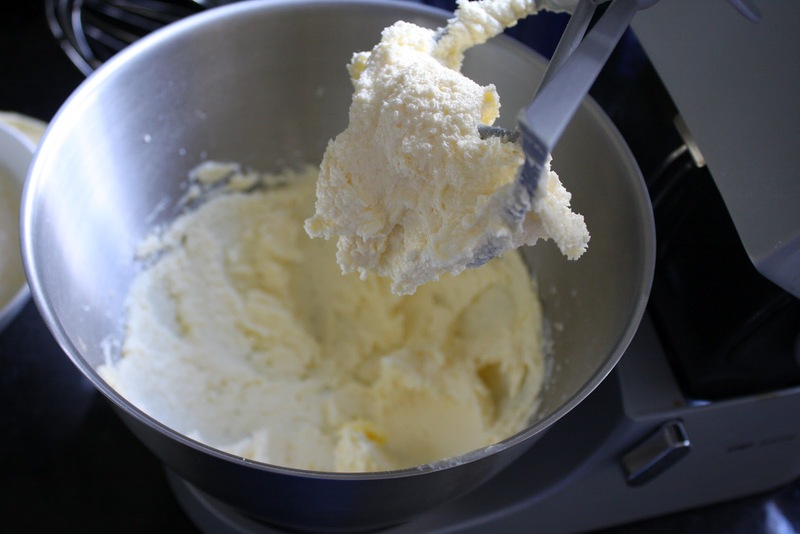 Beat together the butter and sugar in a free-standing mixer until light and fluffy. 3. Add in a few drops of vanilla essence, then beat in the eggs a little at a time. of pink colouring to one half of the mixture and stir in well. the other side. Bake for 40-45 minutes or until golden brown. cake so they are exactly the same size). 7. 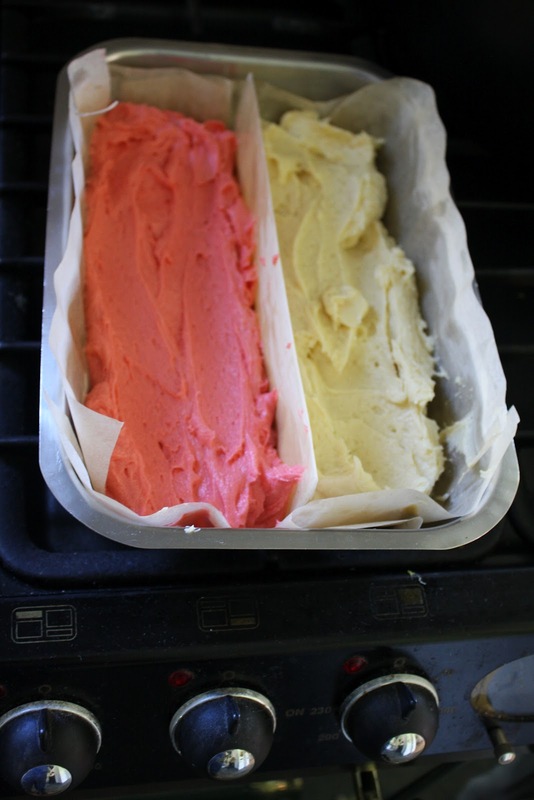 Spread the jam on the sides of the cake and assemble together in alternating colours. Once assembled spread jam on the outside of the cake too. with jam and wrap the marzipan around the cake, trimming any excess. 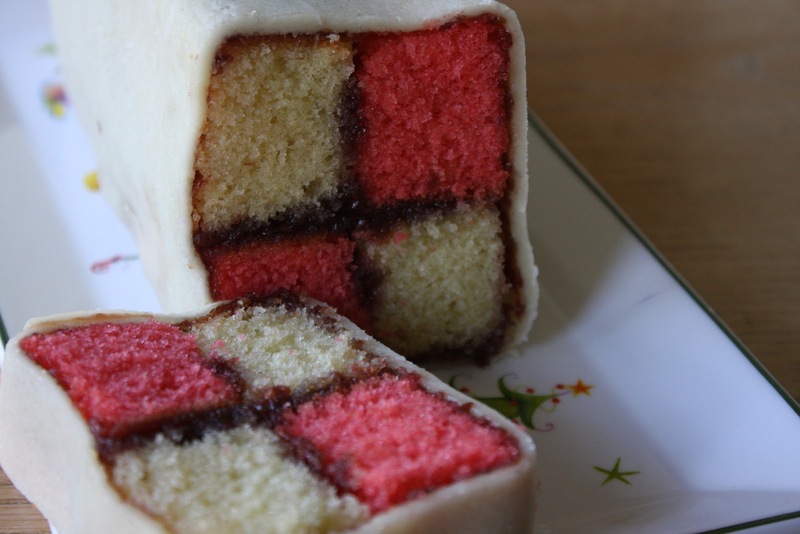 Credit where credit is due...thanks so much to Shaud for the use of her hands and helping me type today and constructing this beautiful Battenburg! This is a very lovely one. I would take a piece right away. This post wants to make me try it as well. You should defo give it a try Chris...it's delicious...so I'm told!